Mad Science brings super science excitement to summer readers. We come to your location. Shows run 45-60 minutes. Click here to request a quote for your library. Travel 238,900 miles above the earth as we commmorate the 50th anniversary of humans first landing on the moon. What's it like to travel in space? With the help of some volunteers, kids will learn what it's like to explore space and the space technology used on earth today. 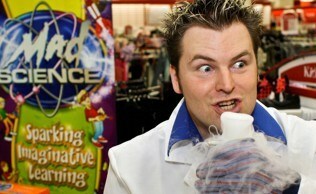 Mad Science will put on an exciting show for your summer readers! 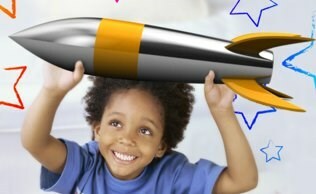 Kids get thrilled by science while experienceing the world of sound and much more! Kids get tuned-in to learning with exciting demonstrations and experiments including a surprisingly loud Dinosaur-in-a-Can, the glowing Electric Pickle, and kid-created Thunder Storm! Are you a parent or grandparent looking for which libraries we’re visiting this summer? Check out our public events calendar here.